Happy Friday! 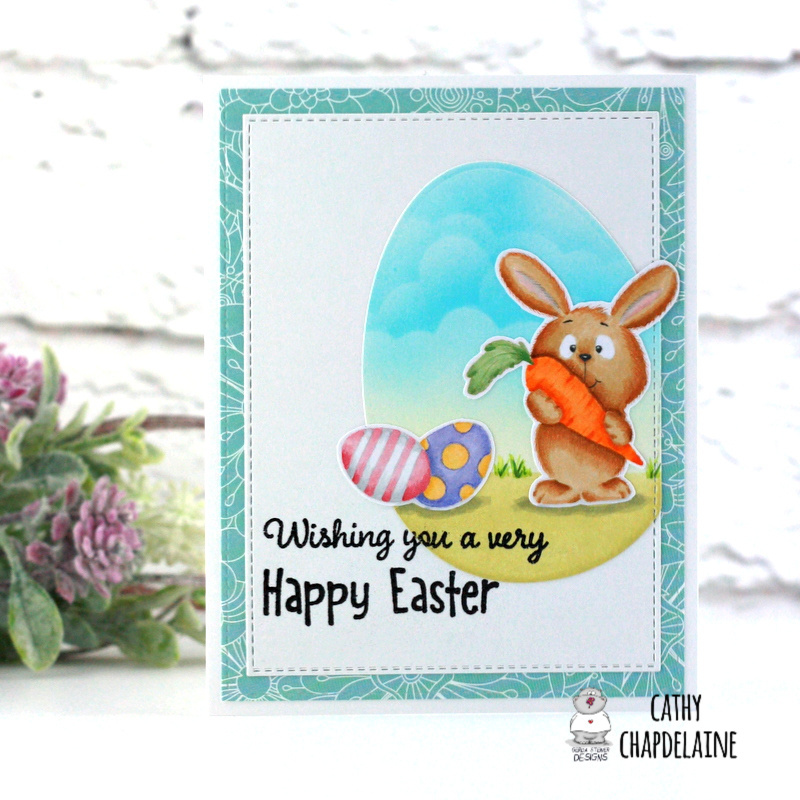 Sharing a new card for Gerda Steiner Designs today featuring the new Easter Bunnies stamps. I just love this bunny from the set. He’s so cute! I started by die-cutting a large egg from a new SimonSaysStamp nesting eggs set and inking a sky and grass background. 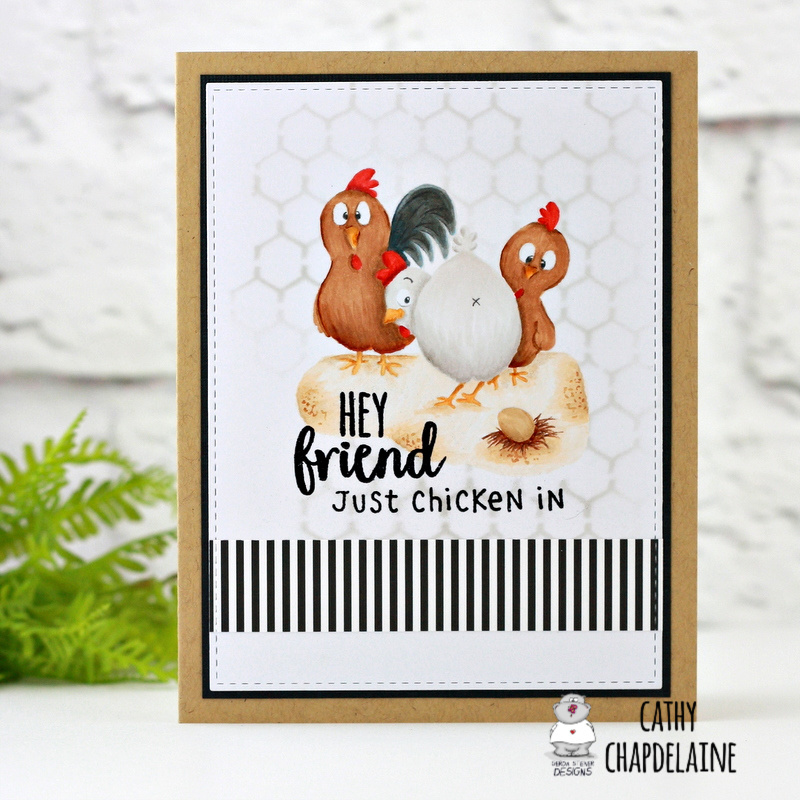 To create some extra interest, I adhered the egg to a piece of white cardstock slightly overlapping one edge and die-cut the piece using an MFT stitched rectangle die. I colored the bunny and a few eggs from the stamp set with Copics and added some colored pencil details. There’s coordinating dies to this set, but I fussy cut around them mainly because I masked and stamped the 2 eggs overlapping and wanted to cut them out as one. 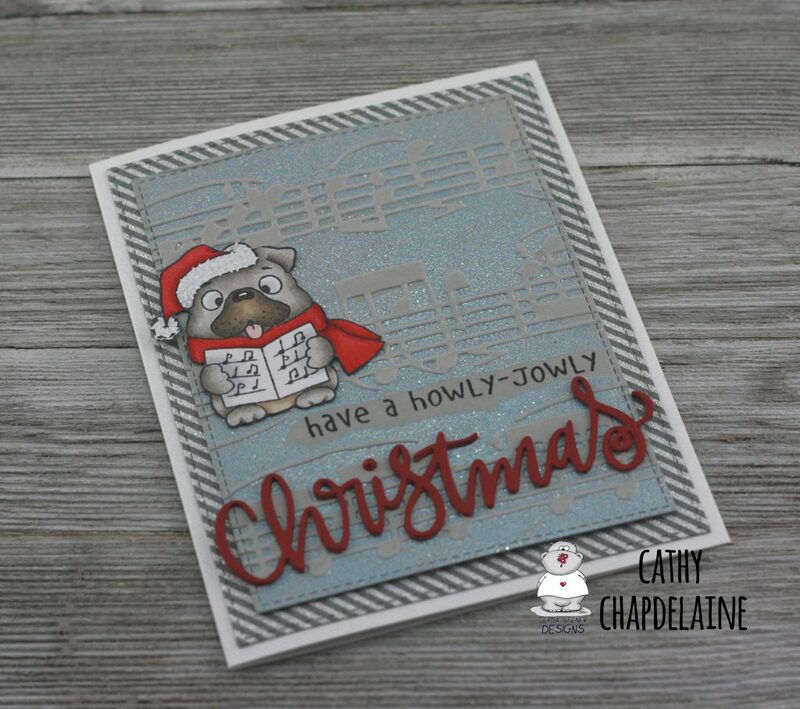 To finish, I stamped the sentiment from this set in Versamark and heat embossed with black embossing powder. I also added some shadows and grass with Copics. Hope you have a great weekend and get to enjoy some nice Spring weather! Happy Friday! I don’t know about you, but I could really use some sunshine right now! 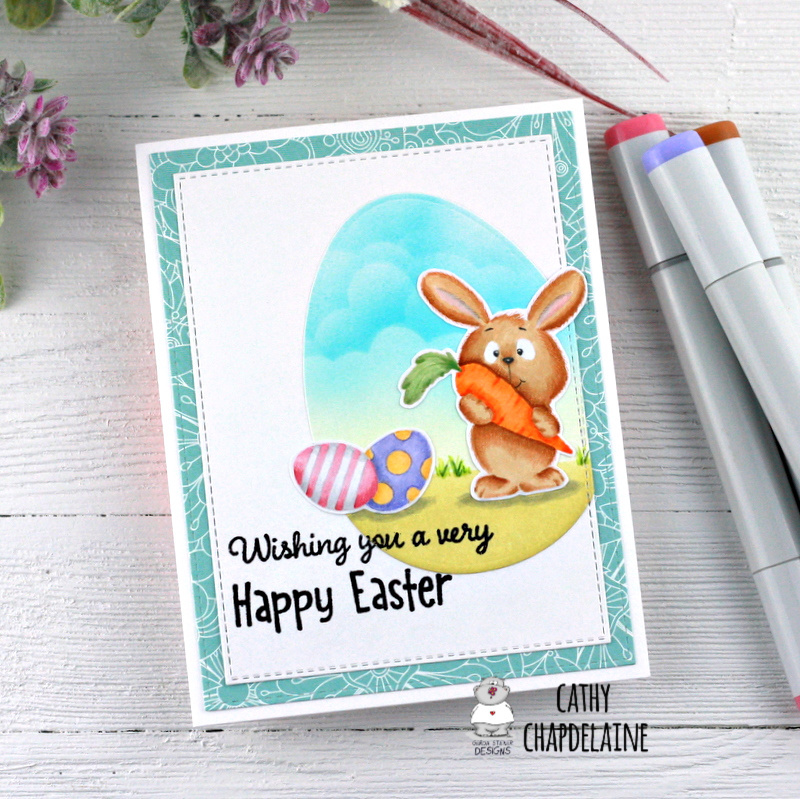 It’s been raining here for weeks, so I’m sharing a happy Spring card here and on the Gerda Steiner Designs blog featuring a brand new stamp set called Bunny Friends. I fell in love with this one instantly! Aren’t they sweet? I wanted a nice soft look to this, so I went with Copic no-line coloring. 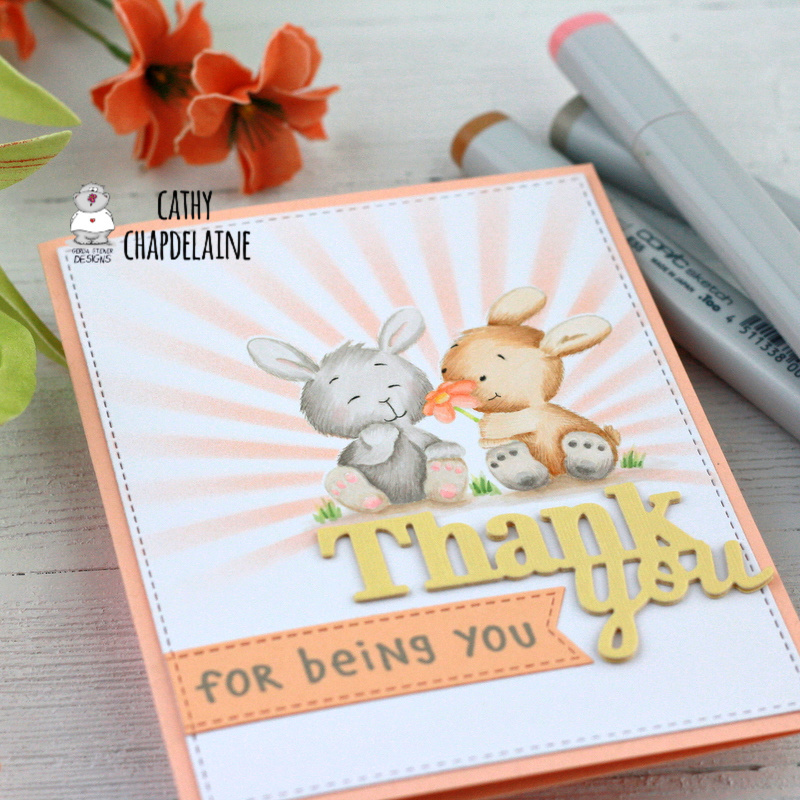 I started by stamping the image in MFT Cement Gray ink and masking the bunnies. I then Copic airbrushed an MFT radiating rays stencil with YR61. 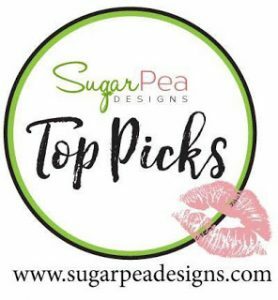 I’m a little bit of a font freak and I LOVE big bold die-cut sentiments. 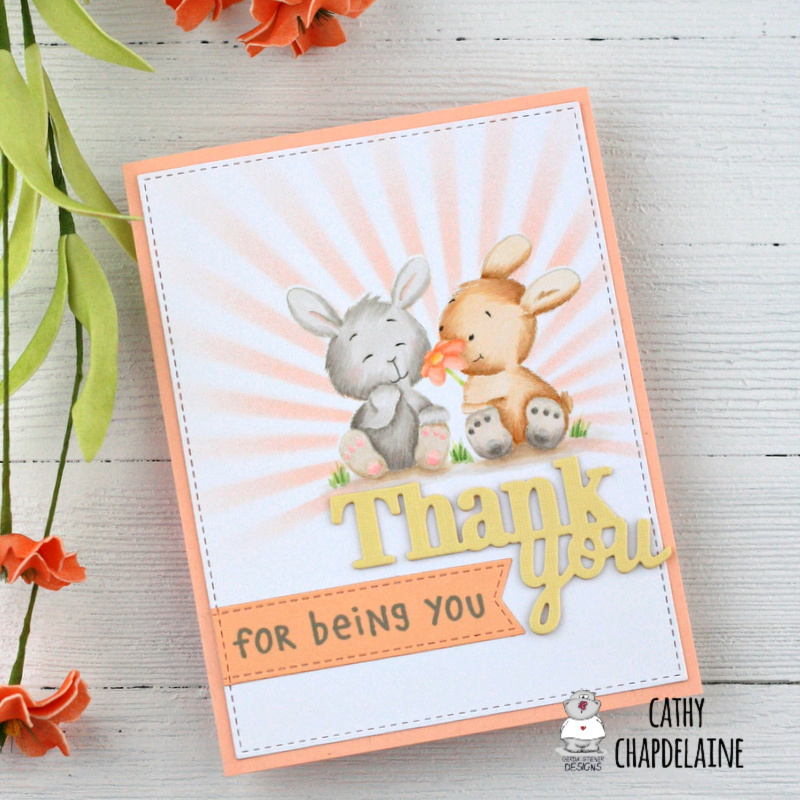 I have to fight the urge to use them on every card, but I thought this Spellbinders “thank you” sentiment worked really well on this. I die-cut it 3 times from cardstock and layered them together for some dimension. 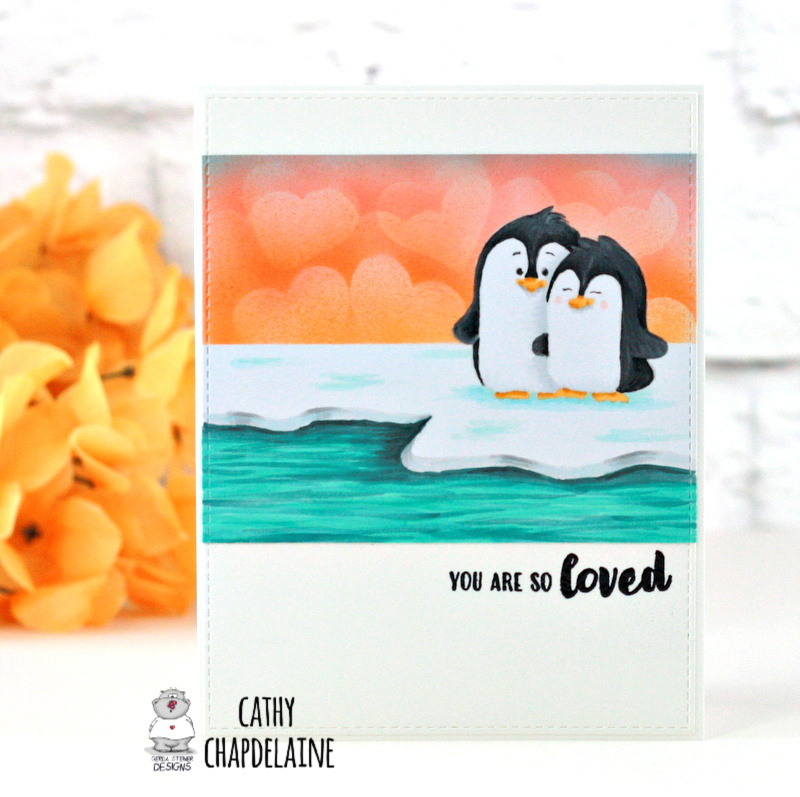 I stamped the sentiment from this set on a piece of peach colored cardstock and then die-cut around it using an MFT sentiment strip die. This particular die has fishtails on both ends, but I die-cut it a second time using the same rectangular stitched die that I used on the front panel. Just tape it straight on the edge of the die and you get that nice straight stitched edge to match. 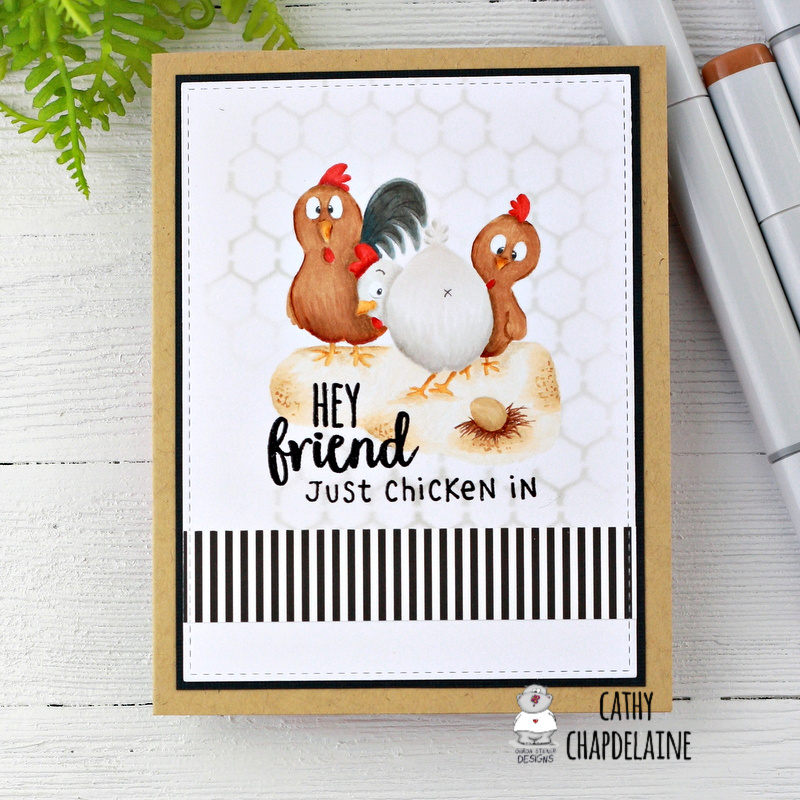 Hope you have a great weekend with lots of sunshine and I’ll be sharing more Spring/Easter stamps from Gerda Steiner Designs soon! Happy Friday! 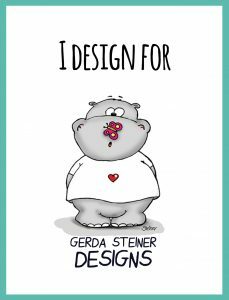 I’ve got a new card today for Gerda Steiner Designs using one of my favorite stamp sets. 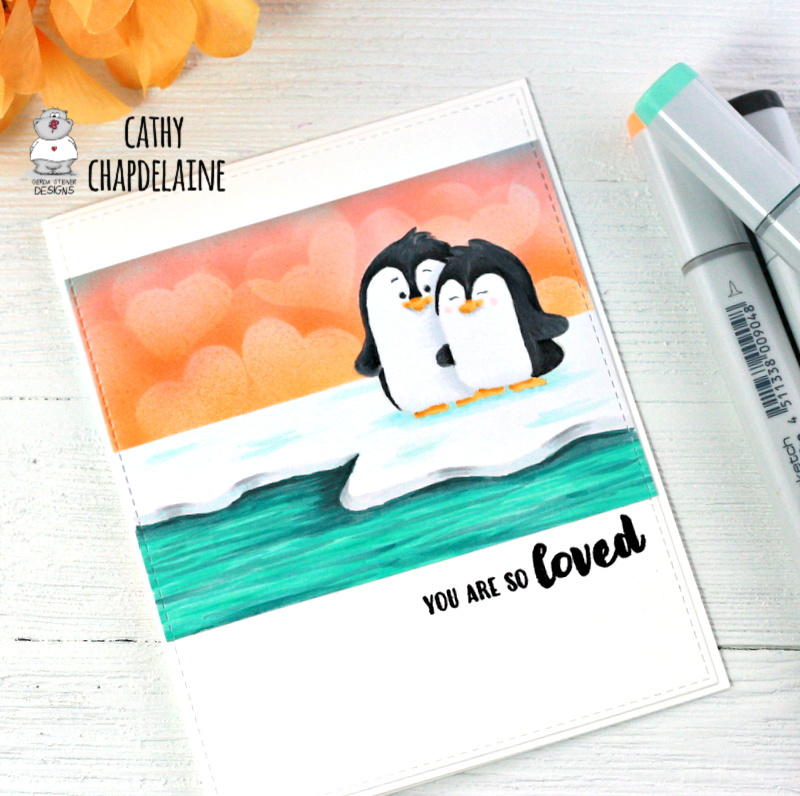 These Valentine Penguins stamps are adorable and they can be used for so many occasions. 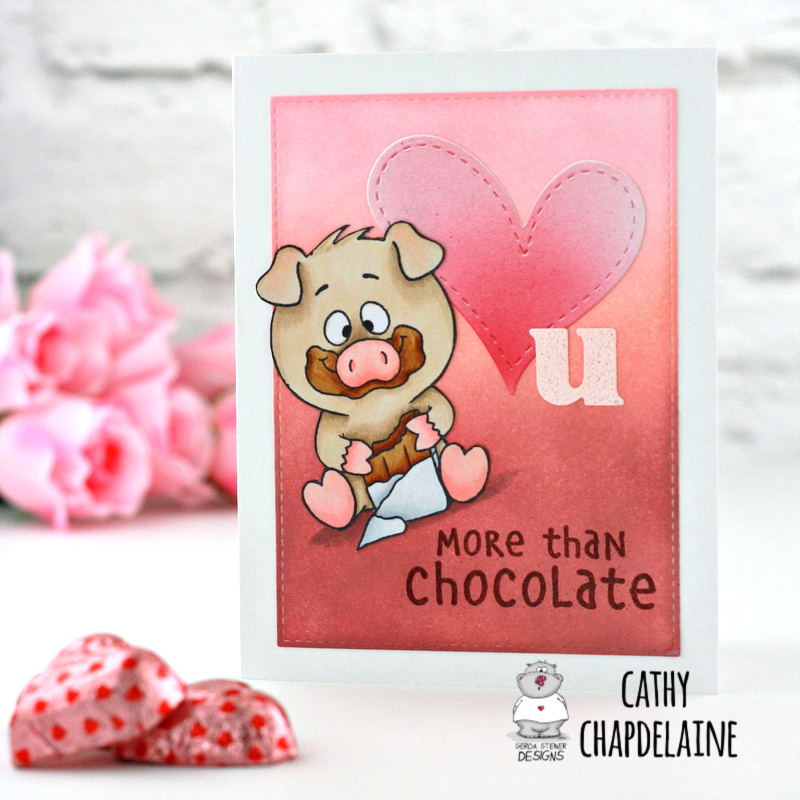 For this one, I went with a simple love card with some bright colors instead of the typical pinks and reds for Valentine’s Day. While the card front looks like a single piece of cardstock, I’ve die-cut 2 pieces for this. I found it much easier to do it this way rather than taping off straight lines on a single piece for the scene. 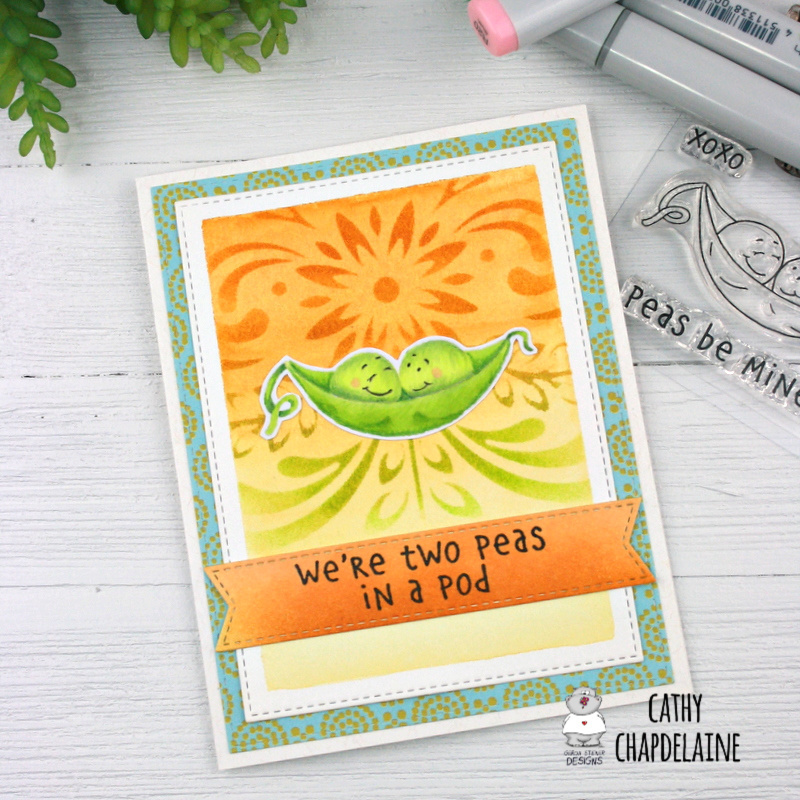 Also, I prefer to color with Copics on XpressIt and I heat embossed the sentiment on the card. I wasn’t sure how the XpressIt would hold up to the heat, so the larger card front is a piece of Neenah cardstock. I started by stamping and masking the penguins and then taping a horizon line. I’ve airbrushed the sky with YR12, YR61, YR65, R21 and a little bit of B00. I also used the same technique that I used on my sloth card in last week’s post and die-cut a bunch of small hearts from eclipse tape to be used as masks. After I adhered them all over the sky, I airbrushed around them with YR61. I love how the bottom 2 hearts sort of look like the penguins hugging. I colored up the penguins and the rest of the scene with Copics. I just love these little guys! 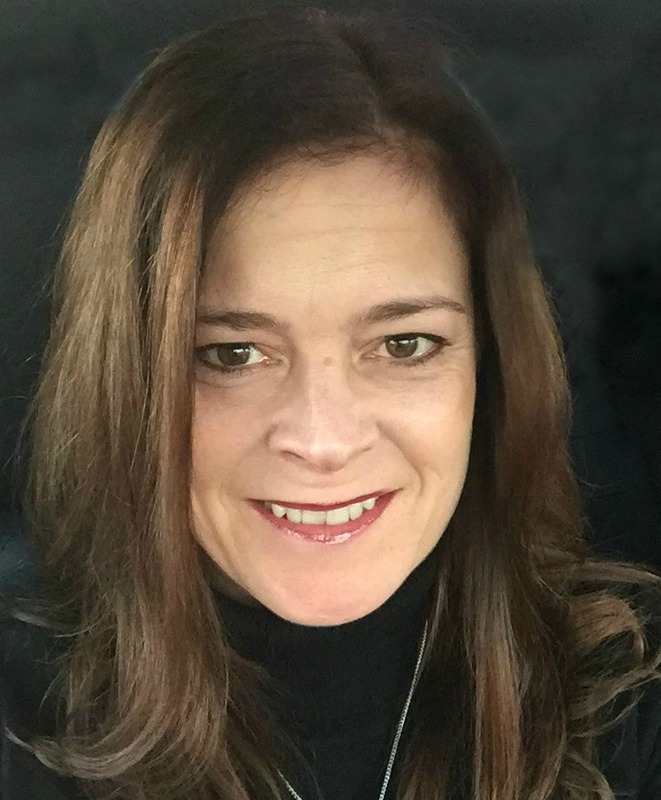 I hope you enjoyed and have a great weekend! Happy Friday! 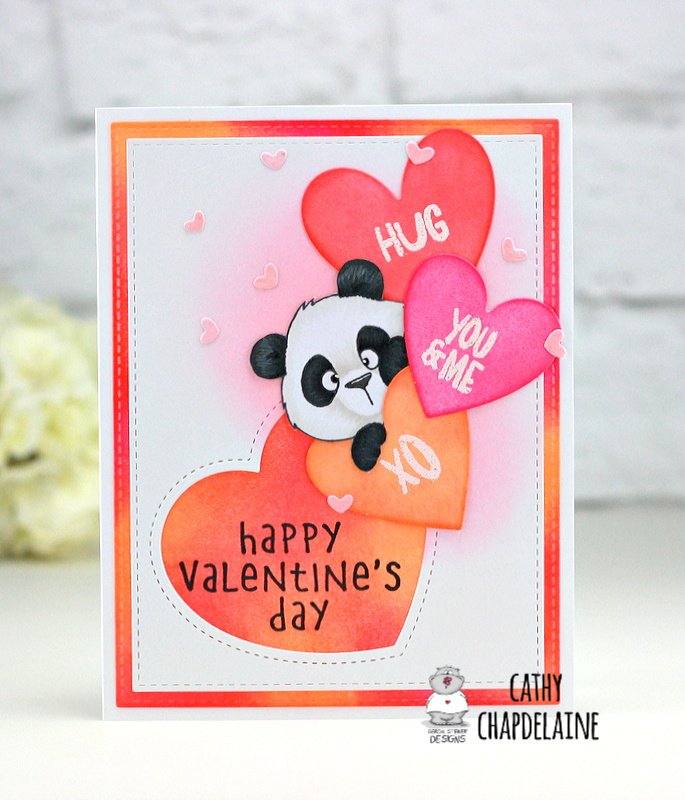 Just a quick post today sharing a card I made for Gerda Steiner Designs using the new Lovely Pandas stamp set. 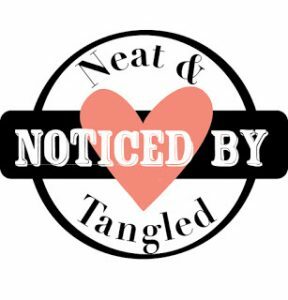 I thought it would be cute to have the little bear peeking out from some candy hearts. I started this one by die-cutting a piece of white cardstock for the bottom panel and inking it with Dried Marigold, Worn Lipstick, Abandoned Coral and Picked Raspberry distress inks. I then die-cut the top panel and used a Lawn Fawn stitched heart die on the bottom. 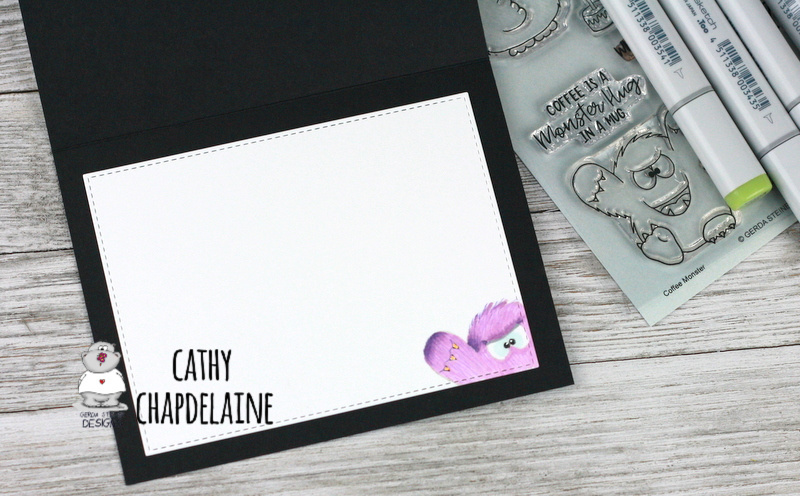 I softly inked a little Spun Sugar distress ink on the top part of the cardstock. I then die-cut a few hearts using a new Avery Elle die and inked them with the same distress inks as the bottom panel. 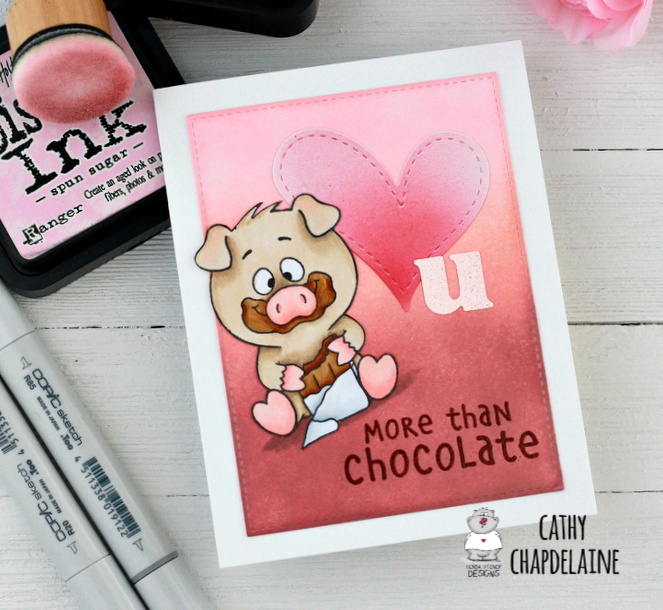 The sentiments from this stamp set worked perfectly to make them candy hearts! 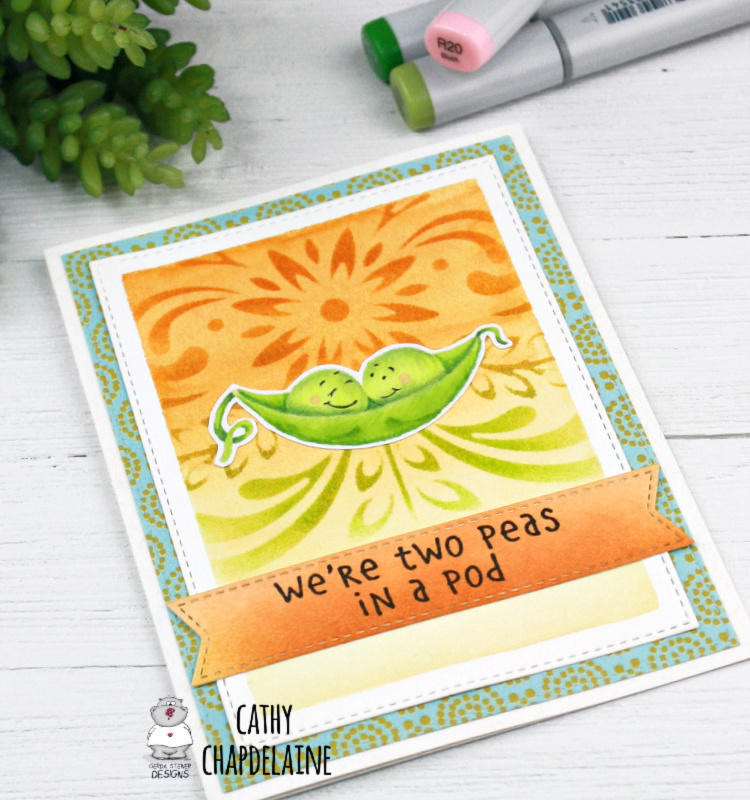 I heat embossed those with a light pink embossing powder. I colored the panda with Copics, fussy cut around him and tucked him in a little behind the hearts. To finish it off, I stamped the Valentine’s sentiment on the bottom panel. This is from a soon to be released Gerda Steiner set that’s also super cute and you won’t want to miss it! Hope you enjoyed and be sure to check out the GSD shop when it reopens this Monday.